Frank W. Abagnale is one of the world's most respected authorities on the subjects of forgery, embezzlement and secure documents. For over thirty years he has lectured to and consulted with hundreds of financial institutions, corporations and government agencies around the world. 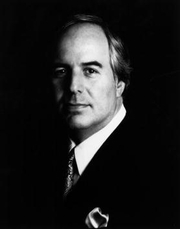 Mr. Abagnale has been associated with the FBI for over 35 years. He lectures extensively at the FBI Academy and for the field offices of the Federal Bureau of Investigation. More than 14,000 financial institutions, corporations and law enforcement agencies use his fraud prevention programs. In 1998, he was selected as a distinguished member of "Pinnacle 400" by CNN Financial News. Today Mr. Abagnale is a member of the Board of Editors for Bank Fraud and IT Security, as well as the Financial Fraud Law Report. Frank W. Abagnale is currently considered a "single author." If one or more works are by a distinct, homonymous authors, go ahead and split the author. Frank W. Abagnale is composed of 11 names. You can examine and separate out names.